Last week was one of those weeks when I simply didn't feel like blogging. I actually didn't think about it much--including Slash the Stash. I forgot about it until a couple readers remind me. First off, thanks to those who voted for my quilt in the Blogger's Quilt Festival. I won in the ROYGBIV category! 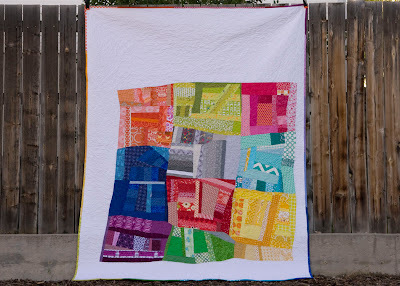 There were so many great quilts this year. I had fun browsing through them. I admit it was a bad month for the stash. I had my buddies Amy and Colleen pick up some loot for me from Market. I am so excited about both bundles. They are just pretty. 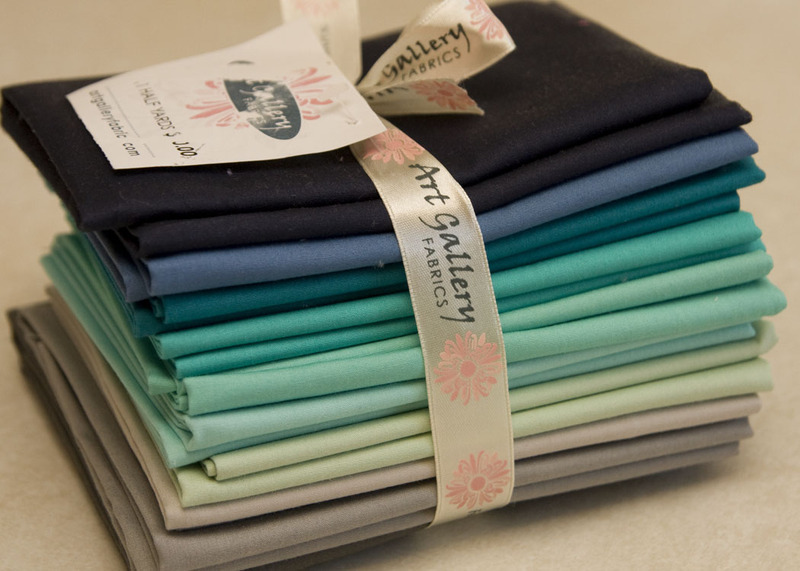 I haven't opened either one, but I do have two ideas in mind for the Simply Color stack. Looking back at the month, I finished way more stash projects that I thought I did. These three quilts were made entirely from my stash (except some white I had to pick up for my improv quilt back and the retro flowers quilt). 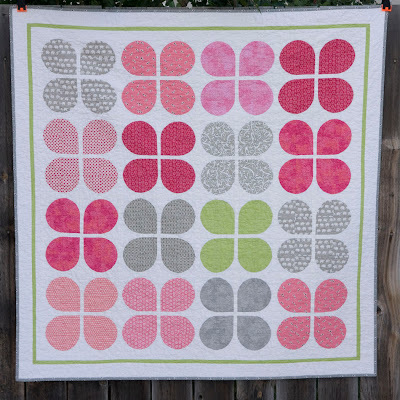 The Retro Flowers quilt will get a post of it's own soon. I finished it last week. 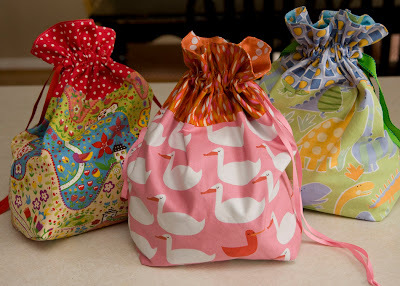 I finished up a few more bags for the kiddos using Jeni's pattern from In Color Order. The pink one is my absolute favorite. Finally I pulled this stack of fabric for a quilt for my niece. My SIL asked me to make twin-size quilts for each of her kiddos. We're starting with her daughter's first. 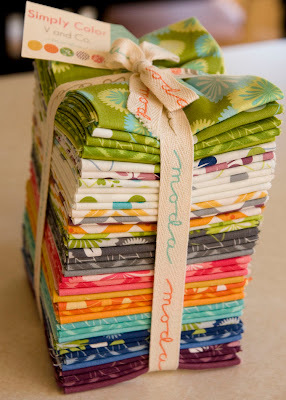 This will be a great stash project for June. I've also pulled a whole box full of fabric to sell on Etsy again, including some color wheel charm packs I cut from my stash. I'll be listing those as soon as the post office delivers all my shipping supplies. I've been working quite a bit to narrow my stash to what I know I will use. It feels good to purge a bit. So what stash projects have you been up to this month? I totally agree - purging the stash feels very good. 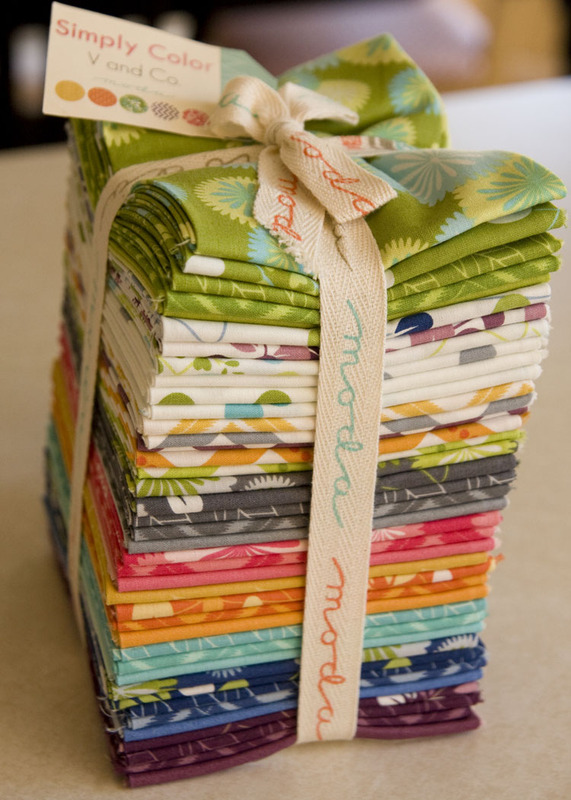 Your May finishes are all wonderful, Kati! 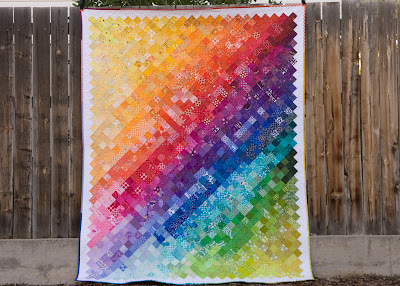 And congrats on the win - it's a fabulous quilt! 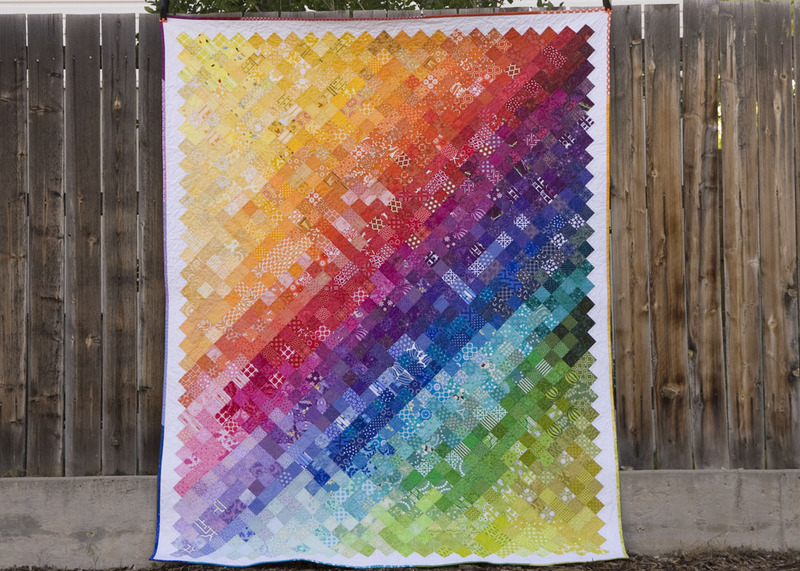 I love your Retro Flowers and your Color Quilt (and I've voted for you ;))! you have a great feeling for colors! Congrats on the win! Fabulous! And the retro flowers quilt = AWESOME! Looking forward to seeing the back too! It's fab! Congrats!! I voted for you :) You deserve it. It's so unique! That is so smart! 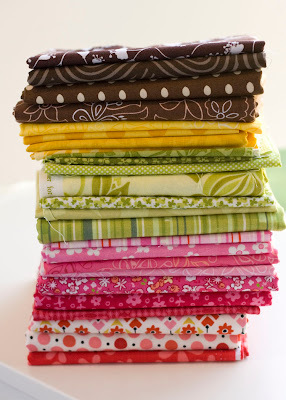 I often look at some fabrics in my stash and wonder if they will ever go in a project. 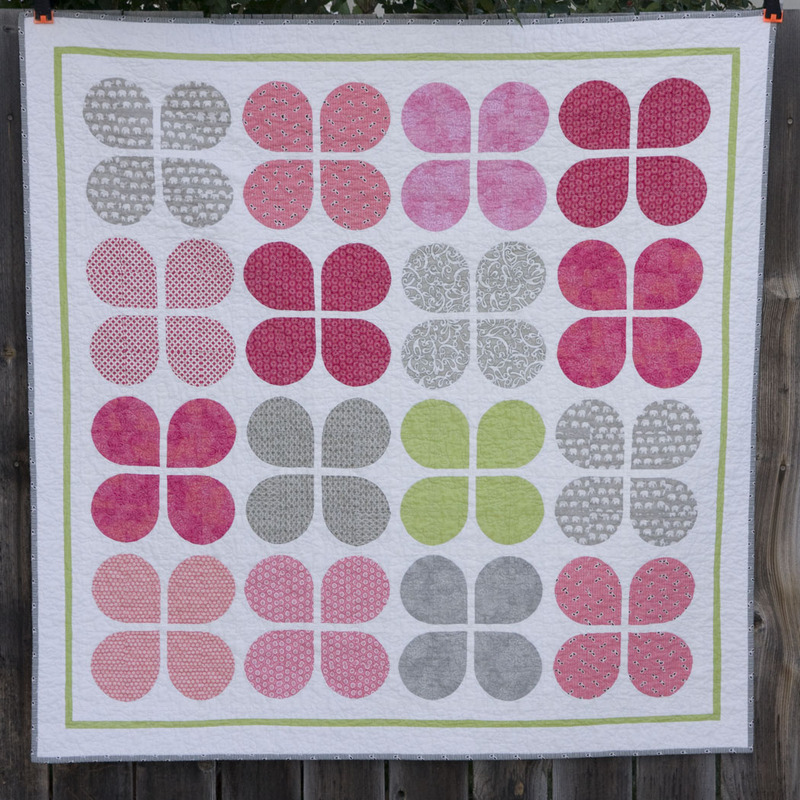 love the green border on the retro flowers quilt. Wish I'd thought of that! Awesome finishes! 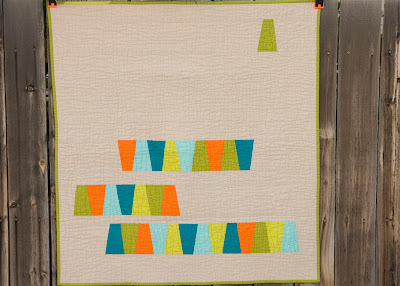 I love your dresden quilt. Very cool. Congrats on your BQF win, that was an obvious choice in my opinion!! Great stash finishes for May!